A new version of ExpertPdf HtmlToPdf Converter is now available (v12.2.0). The update contains a new version of ExpertPdf Html To Pdf Converter for .NET Core 2.0 and above (through .NET Standard 2.0). Please note that it only works on Windows systems. The update also contains a new html rendering engine. It's a simplified version of the existing WebKit rendering engine that allows the execution on environments with more restrictions, like Azure Web Apps (former Azure Websites). Together with the Html to Pdf converter, a new version of Pdf Creator was also released. ExpertPdf is a .NET library that lets you create PDF documents from web pages or raw HTML markup in your applications. ExpertPdf is in business since 2007 and it's being used by thousands of companies world wide. Here you can view a list of our best known customers. 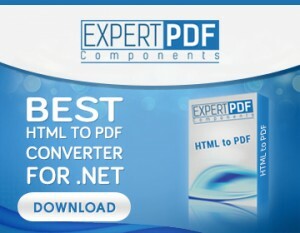 You can download the latest version of ExpertPdf Html To Pdf Converter for .NET and ExpertPdf PdfCreator right now. A new version of ExpertPdf HtmlToPdf Converter is now available (v12.0.0). The new version contains bug fixes and performance improvements. Together with the Html to Pdf converter, new version of the following tools were also released: Pdf Creator, Pdf To Text, Pdf Merge, Pdf Split, Pdf Viewer, Pdf Security, Pdf Images Extractor, Rtf To Pdf, Pdf To Image Converter. 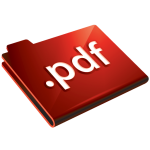 A new version of ExpertPdf HtmlToPdf Converter is now available (v11.0.0). The new version contains bug fixes and performance improvements. A new version of ExpertPdf HtmlToPdf Converter is now available (v10.2.0). The new version contains bug fixes and performance improvements. Together with the Html to Pdf converter, new version of the following tools were also released: Pdf Creator, Pdf To Text, Pdf To Image, Pdf Img Extractor. ExpertPdf Toolkit is a suite of PDF tools that cover the majority of PDF related needs in applications written using the .NET Framework. The Toolkit contains a lot of powerful components: html to pdf converter, pdf creator, pdf merger, pdf splitter, pdf security library, pdf to text converter, pdf to image converter (new), rtf to pdf converter, pdf images extractor, pdf viewers. In business since 2007, ExpertPdf has just released version 10 of the toolkit. A new version of ExpertPdf HtmlToPdf Converter is now available (v9.5.0). The new version contains bug fixes and performance improvements. ExpertPdf is in business since 2007 and it's being used by thousands of companies world wide. Here you can view a list of our best known customers. Download the latest version of ExpertPdf Html To Pdf Converter for .NET and ExpertPdf PdfCreator right now. ExpertPdf v9.3 was released today. The release contains upgraded versions of ExpertPdf HtmlToPdf Converter, Pdf Creator, Pdf Merge, Pdf Split tools. The new version has several performance improvements, the most important being related to multithreading. A number of bugs were also fixed. ExpertPdf Html To Pdf Converter offers a simple, yet powerful PDF generation API. Converting from HTML to PDF is easy using our API. Download a free trial of our HtmlToPdf Converter and take a look at our samples written in C# or VB.NET. The ExpertPdf HTML To PDF API is a professional solution that lets you create PDF from web pages and raw HTML code in your applications. The API is easy to use and the integration takes only a few lines of code. A new version of ExpertPdf HtmlToPdf Converter is now available (v9.2.2). The new version contains bug fixes and performance improvements.